What is a Contract Range product? A Contract Range product is not covered under the CHSA accreditation schemes and therefore no guarantees are offered in relation to specifications or continuity of quality of these products. 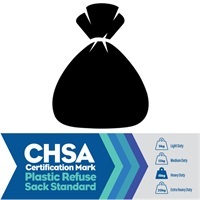 They are fighting brands often supplied in unmarked packaging however they do the job and in the current economic climate we make this offering, whilst we do not endorse the products, based on our clients request for a basic, value, no nonsense alternative to branded and accredited products. If you would like details of how we can help you make savings through our free survey and cost in use recommendations please contact us we would love to hear from you.